A check engine light might leave you with a sinking feeling, and a burning hole in your wallet. It could mean there is an expensive problem like a catalytic converter issue, or there might just be a loose part. Regardless of the worry, you should get it looked at. This means any small issues can be taken care of before they cause further damage, or even void your car’s next MOT. Never ignore the check engine light. 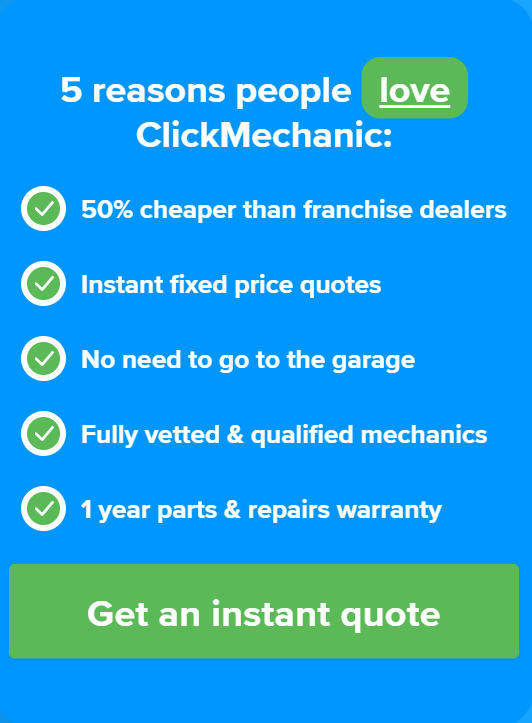 ClickMechanic is a UK wide car repair marketplace that gives you upfront instant prices. You can get your vehicle repaired, serviced, diagnosed, or have an MOT done by tomorrow morning. Get an instant quote for your engine issue now. The check engine light, also known as the Malfunction Indicator Lamp, is a signal from the engine control unit (ECU) which indicates that there is a fault with the engine system. There are a number of issues that can make the check engine light come on. Exhaust emissions issues, battery issues or other engine related issues can all be causes. If your check engine light does come up it’s worth getting a diagnostic done to pinpoint the exact underlying problem. Diagnostic inspections usually cost around £40 to £60 depending on where you are in the country. Mechanics will have a plug-in diagnostic tool that will display the issue to them. Some rare cars may require a dealer to read off certain fault codes, they will have specialist equipment for those vehicles. Remember, a “service required’ light is not to be confused with a “check engine” light, however these are related. A service light means that you need an oil change or other similar maintenance, bear in mind that if the light is ignored it can easily lead to a check engine light, as your engine will grind to a halt without oil. 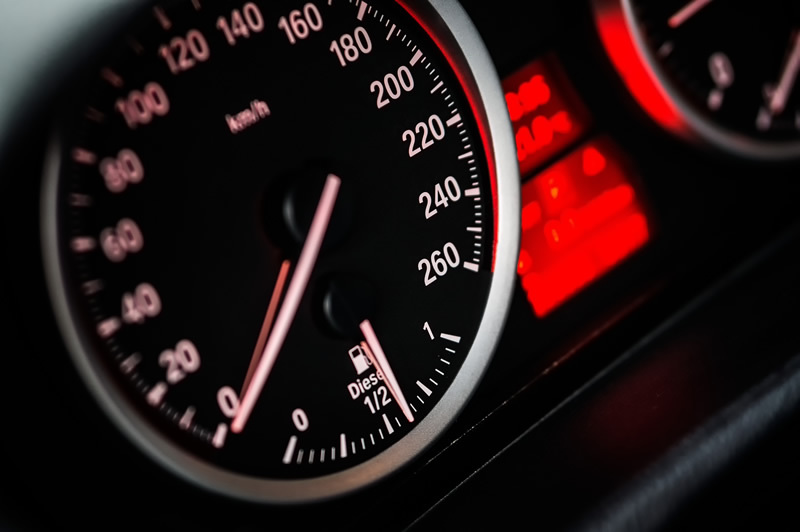 The check engine light will usually be an orange, yellow or amber colour depending on the manufacturer, and a flashing light usually means there is a more serious issue. A flash when starting the car isn’t an issue, it’s just a check by the ECU to make sure the system is working. Can I just ignore a check engine light? The light comes on, what do you do? Put that post-it down, and eww not gum. A solid light means you should get the car checked soon, while a blinking light needs immediate treatment. Remember that the check engine light in all cases means that engine performance is being impacted, hurting your fuel consumption and wallet as you pay for more fuel. Get the car checked by a mechanic. You should get a quote for the amount to fix the issue, and the amount of time before it causes further damage. This will let you budget the problem before it spirals into more expensive problem. It’s also essential that you pass your MOT and a faulty engine may mean your car is no longer roadworthy. A check engine light can also cause issues when you take your car for an MOT. After all, the check engine light will sometimes mean there is an emissions problem with your car. The emissions are checked during an MOT so if there is an issue your car will fail its MOT. It’s therefore important to get a check of the engine light and get it fixed, so that your car can coast through the MOT without any issues. Remember, you may not feel immediately something is wrong with the car even if the check engine light is on. Newer cars will alter how the engine works so performance is not severely affected, meaning you may not feel a problem for a long time. However, the issues will be hidden in your fuel efficiency and emission levels. Make sure you never ignore the check engine light and get it looked at before it is too late. The problem can easily be found with a diagnostic tool, and will save you money in the long run! Can I diagnose the check engine light myself? You could buy your own plug-in diagnostic tool which connects to the car’s onboard diagnostics (OBD) port. These cost anywhere from £15-£40 but some older cars may require expensive specialist tools instead. Some diagnostic tools can even switch the light off, which may be tempting to do but keep in mind that it will not actually make the problem go away. Your light will come on again. A diagnostic tool will show you all the fault codes on your vehicle, but it does not show you exactly which parts need replacing or what repairs are needed. Fault codes will point to a problem area on a car and not an exact repair. Further investigation is needed to pinpoint the actual underlying issue. This may entail replacing parts to eliminate any potential causes. This is best left to a professional mechanic who can use his expertise and experience to make the right judgement as to what is needed. What can I do about the check engine light? There are several minor issues that you can solve which may get the light to come off. These could indicate low oil pressure or overheating, and can be fixed once you pull over. You can stop on the hard shoulder on a motorway or just a car park. A loose fuel cap can mean your fuel is getting contaminated by dirt, bugs, or water while driving. Contaminated fuel means that fuel is left unburnt in the exhausts, which triggers emissions warnings. It may take several journeys to reset, and there may be a separate light altogether in your car. An illuminated check engine light could mean serious problems with your car’s engine. Try to reduce its workload by reducing the speed you go at and, if making a further journey from your destination, take off anything that weighs it down significantly, like a box of tools or other significant weight. What Are The Top Causes For A Check Engine Light? Check the condition of the battery with a voltmeter, it should al least meet the minimum cranking amperage, as stated in your owner’s manual. Over time, the battery may drain, or after a night left on. Additionally, check for any corrosion of the various terminals and any damage to the fuse box. The belts do a lot of work to keep the car cool, translate electrical energy and are an integral part of the engine. They are subject to wear and tear over time, or can be damaged by loose debris. You should check the condition of the belts and make replacements to improve the quality of your engine performance. The oxygen sensor monitors the unburnt oxygen from the exhaust. This also monitors how much fuel is burnt which is directly linked to emissions. The sensors are regularly covered in exhaust fumes which can affect the quality of the sensor. A faulty sensor will mean the ECU adjusts to decrease the efficiency of the engine, meaning a higher MPG. It will eventually lead to catalytic converter problems, which can cost over £2000. Oxygen sensors can be easily replaced, with the DTC telling you which one is faulty. The fuel cap being loose, cracked, or broken will cause contaminants to enter the system or fuel vapours to leak out. These will both have a noticeable impact on emissions, which usually triggers the engine light. To fix it, you should get it tightened, or replaced if it is cracked. A fuel cap shouldn’t cost a lot and all you need is a screwdriver to fix. This should also help you MPG. The catalytic converter is part of the exhaust system, working to reduce the amount of harmful exhaust gases. It converts potentially lethal carbon monoxide into carbon dioxide. A failing catalytic converter will decrease your MPG and may put the car into limp mode. It usually fails when driving in purely urban environments, with many stop starts, which deny the catalytic converter from regenerating. You can fix the catalytic converter by taking a half an hour continuous drive on a motorway, which will activate systems that clean soot from the catalytic converter. If the problem persists then you will need a mechanic to do a forced regeneration or get an expensive replacement. The mass airflow sensor signals the ECU about the amount of air coming through to the engine, so the right amount of fuel can also be used. A faulty mass airflow sensor may have your car stalling and have a noticeable impact on MPG. It can fail because of a faulty air filter, which you should replace once a year in your annual or scheduled service. You can keep driving with a broken mass airflow sensor but you’ll notice the hole in your wallet. It doesn’t cost a lot to replace an air filter, but if the problem persists then you may have to get a mass airflow sensor replaced, which can easily cost over £200. The spark plugs provide the spark for every little explosion in your engine. Failing plugs can be noticed by a car ‘hiccupping’ when accelerating. They fail roughly every 30,000 miles and get replaced in our major service. There are obviously a vast array of reasons, which can leave most people nervous to get a check engine light checked out. You should be responsible for your car and the safety of others on the road. Sometimes it isn’t a long procedure but it’s important you understand what exactly is wrong with your car before it gets worse.